The Pan-American Highway is considered the world’s longest “motorable road” (save for the 90 mile Darién gap between South America and Central America, which you can bypass by putting your vehicle on a cargo ship). It’s not actually one road either–there are only some official sections and other sections where multiple routes are possible, but still considered to be part of the overall network. 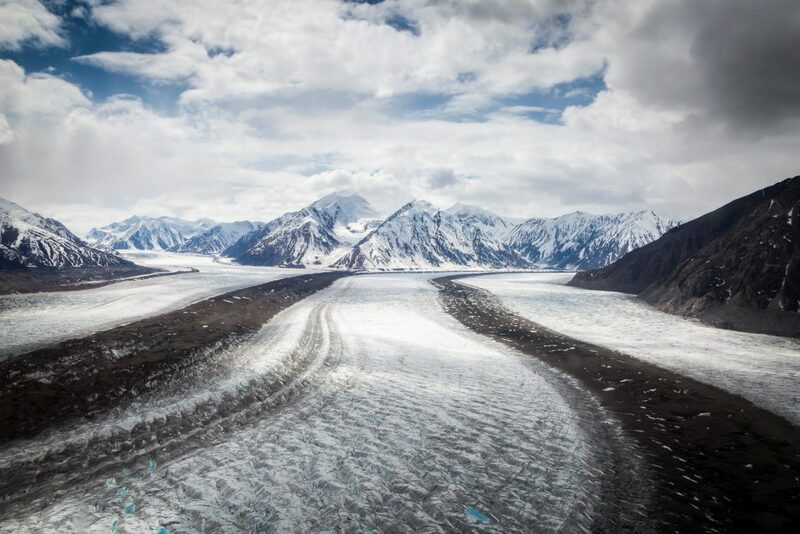 If you follow the most widely accepted route, from the road’s terminus in Prudhoe Bay, Alaska to Patagonia (the southern tip of South America), you’re looking at 19,000 miles one-way (30,000 kilometers)–and unless you plan to sell/dump your car in Alaska or Argentina (and selling a foreign vehicle in Argentina is illegal) then you need to do essentially double the whole route in a return journey as well; so the total trip is approximately 40,000 miles. It’s also not 40,000 miles of paved, “safe” roads. The Pan-American Highway passes through many diverse countries and climates, from dense jungles, to arid deserts, some of which are passable only during the dry season, and in many regions where driving is occasionally hazardous. 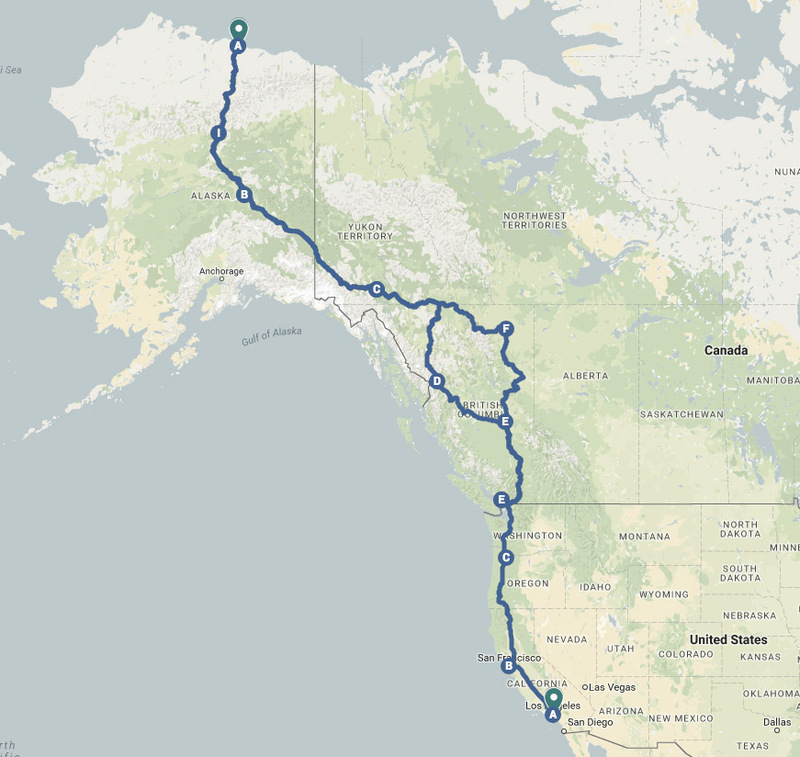 The Dalton Highway (or “haul road”) from Fairbanks, AK to Prudhoe Bay, has been made infamous by the show “Ice Road Truckers” for being exceptionally dangerous during winter months, which is why I’m traversing it during the only two months of the year that it’s guaranteed to be ice-free. I don’t remember exactly when or how I found out that it was extremely do-able to drive from the arctic circle almost all the way to the antarctic circle, through almost every climate and ecosystem on earth, but I knew the instant I learned of its possibility that I was going to do it one day. That was at least 8 years ago. Over the years I’ve tweaked the plans for the trip in a my journal, changing the potential date 10 times or more–always a year or two out, because the base requirements for the trip are so difficult to accrue: 1) An off-road 4wd vehicle in good shape 2) thousands of dollars in the bank for gas and expenses 3) at least 1 companion willing to come on the most remote and risky parts of the trip and share expenses 4) 10 months set aside for the full journey, etc etc. It always felt like an impossible task that I may never fulfill, until earlier this year my desire to go eclipsed my desire to be fully prepared, and I devised a plan to do the full highway that is way cheaper and easier than my previous plan. I’m going to split the originally planned 10 month trip into 3 separate trips; doing the 2 easier sections this year and saving the hardest section for next year. This also gives me time to regroup and save for the third section, and allows me to better prepare using the experience from the first 2 sections. 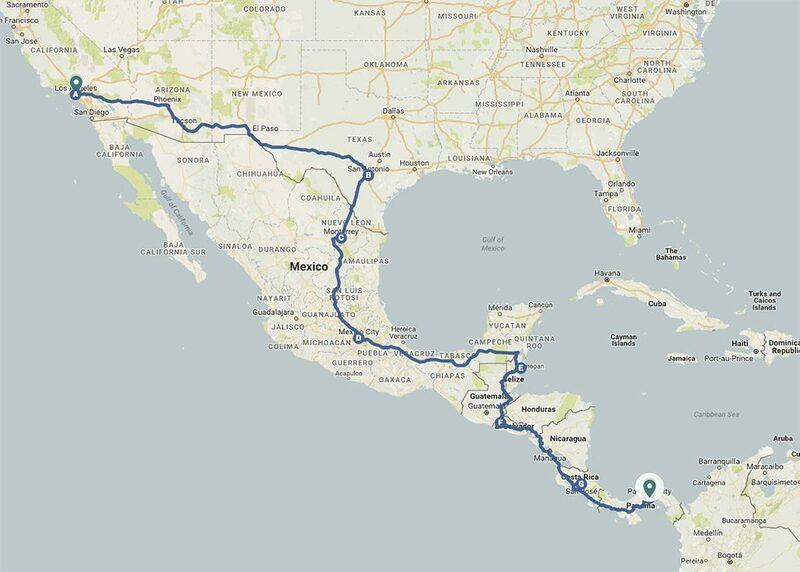 The first 2/3 of the Pan-American Highway, through North and Central America, aren’t nearly as challenging or problematic as the 3rd section through South America, and can be done in my existing vehicle with minimal savings and preparation. Basically all I need is 2 spare tires, a roadside emergency kit, camping gear, a few good companions, and enough money for gas, which thanks to my Prius is not very much! I think it goes without saying I’ll be posting photos and videos on my Instagram and blogging the entire journey, but I’ll be doing a few new things on this trip that I’ve never done before. I’ll be posting video blogs on my YouTube channel, and offering rides on my travel app Hchhkr to anyone who wants to grab a seat in my car for part of the trip! As an added cherry on top, this trip will take me to my 50th state (Alaska) and my 47th country when I arrive in Panama! Your sheer courage and guts to do this trip would amaze me if I weren’t used to it by now. It all started with the Hammond’s World Atlas I gave you when you were 3 years old. You post-it noted almost every page and pointed to the pictures and places all over the world, saying, over and over again, about each country: “I’m going there someday, Daddy.” “I know, sweetheart,” I smiled, knowing even then that you would. My unstoppable, fearless Breezy. As a father I can see in your words that you presented a learning opportunity, then nurtured the path it created in Breezy. Kudos to you! May you both be immensely blessed by this undertaking! !